The ageing process is one of those things in life that is certain. Age affects every nook and cranny of the body. Along with the wisdom, experience and accomplishments that come with getting older, there are changes that occur in our outward appearance. Even if you have great genes and look much younger than you are, age-related changes in our facial appearance are unavoidable. Not everyone is comfortable with that, and some might like to postpone embracing those changes. Smoothing out laughter/ worry lines isn't always easy. As we get older, wrinkles form because our skin becomes less elastic becomes susceptible to sun damage. At Meadowbank Dental Practice we offer Wrinkle Reducing Injections and Dermal Fillers injections to help patients achieve younger appearance. 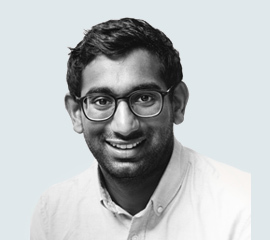 All treatments are carried out by experienced, surgically trained dentist Dr Nash Padayachee. We pride ourselves in providing high quality, subtle natural treatment, tailored to the needs and desires of each patient. 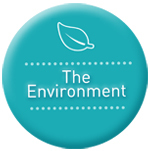 We aim for a natural and refreshed look that people will notice, but won't know the reason why. Injectable anti-aging treatments are a quick and easy way to smooth out those lines of the forehead and around the eyes by relaxing muscles responsible for creating them. The most commonly treated areas are the crows feet around the eyes, the worry lines between the eyebrows and the horizontal lines across the forehead. We offer a free no obligation consultation to discuss your concerns and the procedure in depth. We will give you all the available options and if you want to proceed with treatment will make you an appointment for your treatment. Very small needles are used to inject tiny amounts of solution. As a result, any discomfort experienced is minimal and short-lived. This is why there is no need for any local anesthesia. Most side effects are mild and short-lived, most commonly a mild bruise at the site of injection. Some patients report a mild headache that subsides within 24 hours. Other side effects are rare and will be discussed during your consultation. Following your treatment, the initial effects become visible within 24 to 72 hours. The maximum effect is reached in 1 to 2 weeks. A top up may be required at this stage to reach the required dose level for a mutual achievable result. Your facial expression will become more relaxed but by no means mask-like. The overall result is very natural. The effect of treatment generally lasts for 3 to 4 months. Re-treatment is then required and for an optimum effect treatment is recommended three to four times a year. Generally you do not need to change your usual activities following treatment but we do ask that you avoid applying makeup to the area for 1 hour and avoid exercise for 3 to 4 hours. You will need to avoid having any facial treatments for 7 days following treatment as they may cause 'tracking' pf the Botulinum Toxin to neighbouring areas. Dermal fillers can be used to restore areas in the face that have lost volume due to ageing. These can often contribute to skin sagging and jowling. Placement of the filler can support the face without the need for any surgical procedures. Unlike wrinkle reducing injections, fillers do not relax the muscles but they can hydrate, volumise and shape the skin. At Meadowbank Dental we only use temporary dermal fillers so there is no risk of permanent damage. They are made from hyaluronic acid, a completely natural substance that is already found in the body. It binds to the collagen in the area it is injected in and absorbs up to 1000 times its weight in water- as well as volumising, it also hydrates, giving you a more youthful look. You will notice the results instantly, however there may be some swelling form the injection that can alter the effects. They can usually last between 6-8 months, but this can vary for different patients. Following a consultation appointment, we can schedule an appointment at your convenience. The treatment can take up to 45 minutes which includes time for the anaesthetic cream to work. Currently we us Juvederm dermal fillers, which have lots of documented studies that support its safety. We keep up to strict standards of cross infection and continuing professional education. 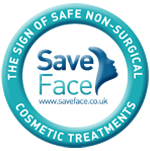 We are also members of SaveFace, a documented register for providers of facial aesthetics supported by the government and Care Quality Commission. Apart from initial swelling and redness from the injection there are less common risks of the treatment. If you suffer fromcoldsores then there is a high chance of an outbreak, but with antiherpes medication, this can be minimized. A risk of allergic reaction is very rare. We keep to strict cross infection protocols to minimize any chance of developing an infection. You can expect some slight redness, swelling, tenderness and an itching sensation in the treated area. This is a result of the injection. The inconvenience is temporary and generally disappears in a few days. If you are having lip treatment, the initial swelling can last longer. It can last for about a week and the lips can look uneven during this time. 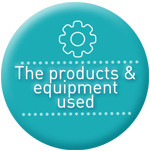 Save Face is a Professional Standards Authority accredited register and is recognised by the Government, The Department of Health and signposted on NHS Choices as a safe way to connect with a reputable practitioner.